The bearded fireworm Hermodice carunculata is a very common inhabitant of Caribbean coral reefs. Its beautiful coloration serves as a warning signal and the spiny white bristles protect very efficiently against predation. 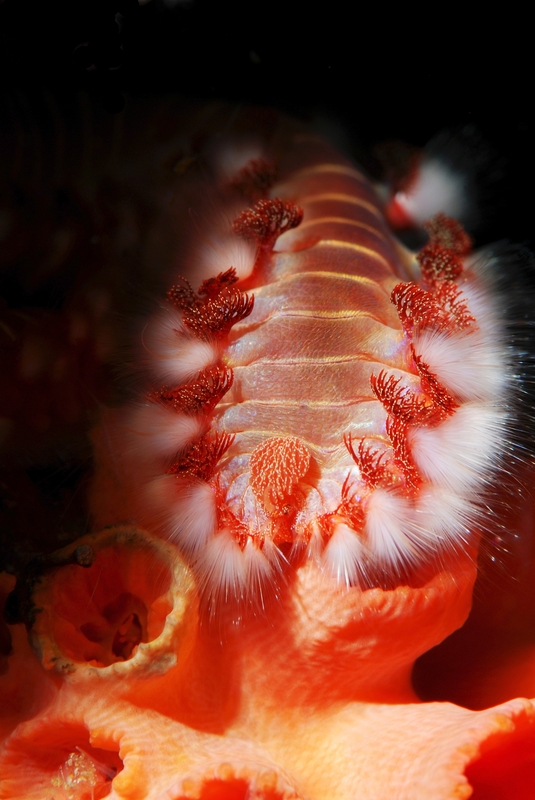 This corallivorous animal, i.e. it is known to feed on hard corals (here, on the coral Tubastrea coccinea) is also suspected to act as a vector for coral disease pathogens. I investigated its impact on coral reefs and reef functioning during my thesis.